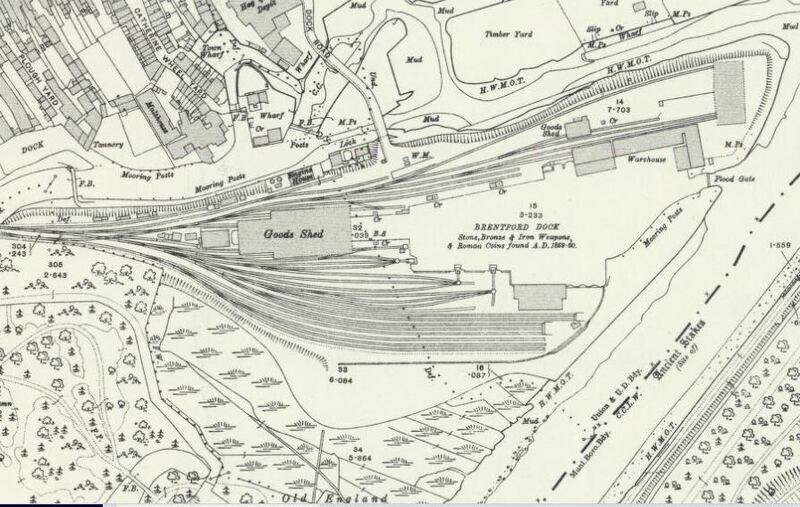 The section above from the 1912 OS map, 25 inches to the mile, shows Thames Locks (marked 'lock') at the western end of Dock Road. Plough and Catherine Wheel Yards, running south from the High Street, and Brentford Dock are also marked. Gillian Clegg writes in Brentford Past that Thames Lock was constructed some time before 1818 near the junction of the canal and the Thames so that it was possible to access the canal at all times. 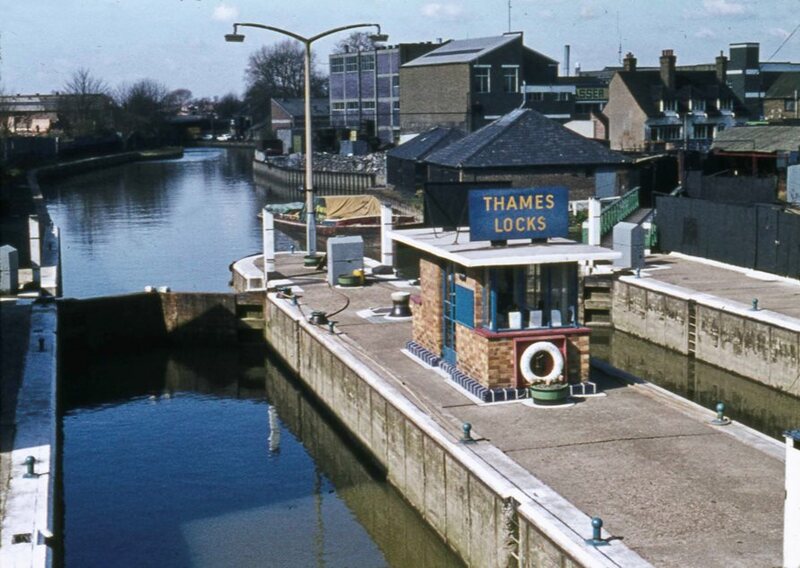 Thames Lock was originally a single lock but was doubled and mechanised in 1962. The engine house, marked on the map near to the lock, contained steam engines which powered the cranes used in Brentford Dock (Carolyn & Peter Hammond, Then and now Brentford). The photo below shows the view upstream, the footbridge visible in the distance and the building to the left could be the Brentford Dock Estate, which was occupied from 1977.